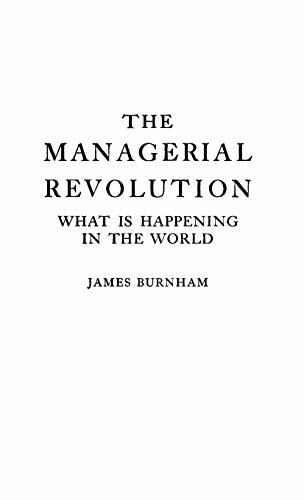 The Managerial Revolut... James Burnham Best Price: $42.01 Buy New $46.00 (as of 06:05 EDT - Details) But, additionally, Wisner perceived its merits as the blueprint for a CIA-led, pseudo-liberal, US-led global order. (‘Pseudo’, because, as Burnham articulated clearly, in The Machiavellians, Defenders of Freedom, his version of freedom meant anything but intellectual freedom or those freedoms defined by America’s Constitution. “What it really meant was conformity and submission”).